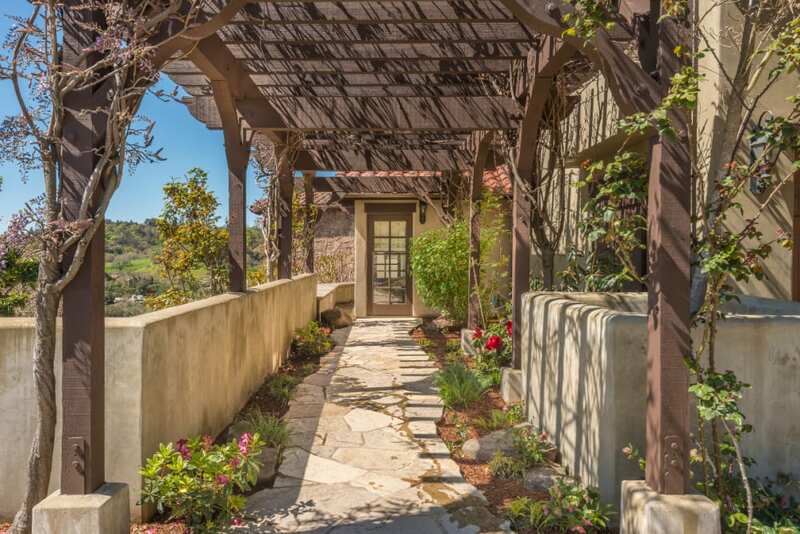 This elegant Mediterranean Mayacama estate, built in 2006, offers a rare opportunity to own a home at Mayacama Golf Club with stunning views of the of the golf course. "Showcasing magnificent architectural presence, clean lines and distinctive arches..."
gas fireplace with stone mantel anchors the living room. French doors open to the open-air patio and pool with lovely dining area and stone fireplace with beautiful views of the 6th tee and 4th fairway. The gracious master suite is adorned with a stone fireplace and gorgeous views. Alder wood built-ins highlight the large bath and huge closet. Each en-suite bedroom features baths with walk-in showers, granite counters, and Alder cabinetry. The grounds include a stunning, black bottom infinity pool, spa, and dining area, creating an inviting backdrop for alfresco entertainment.